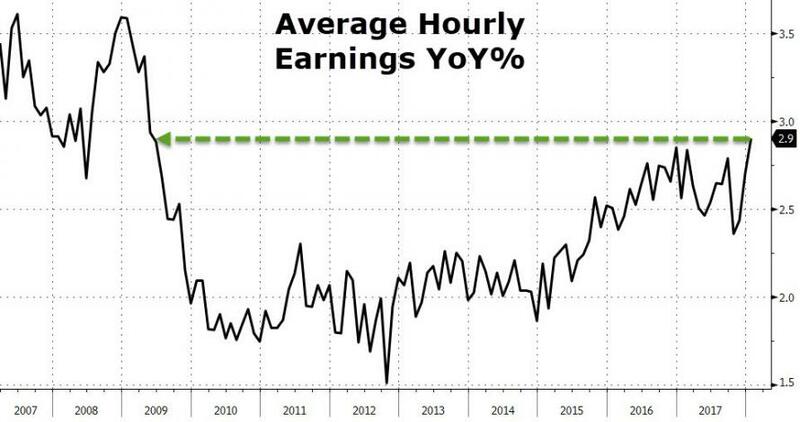 ... it was the average hourly earnings that slammed expectations, rising by 2.9% Y/Y (and up 0.3% M/M, exp. 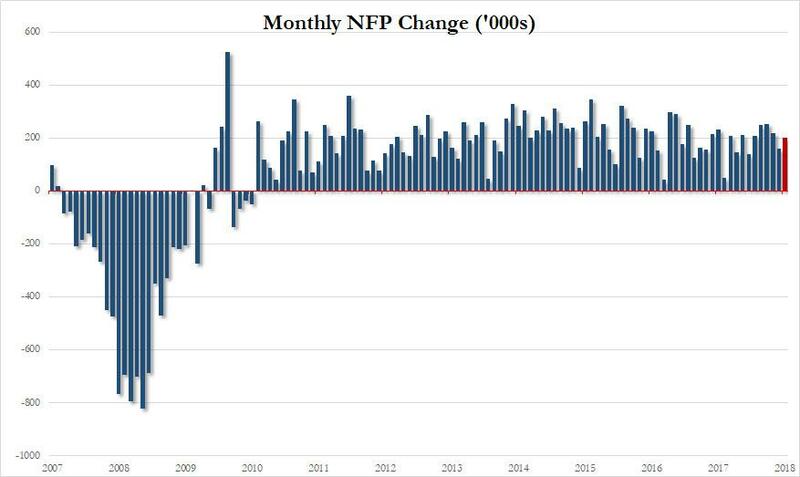 0.2%) well above the 2.6% expected, and the highest print since Jun 2009. 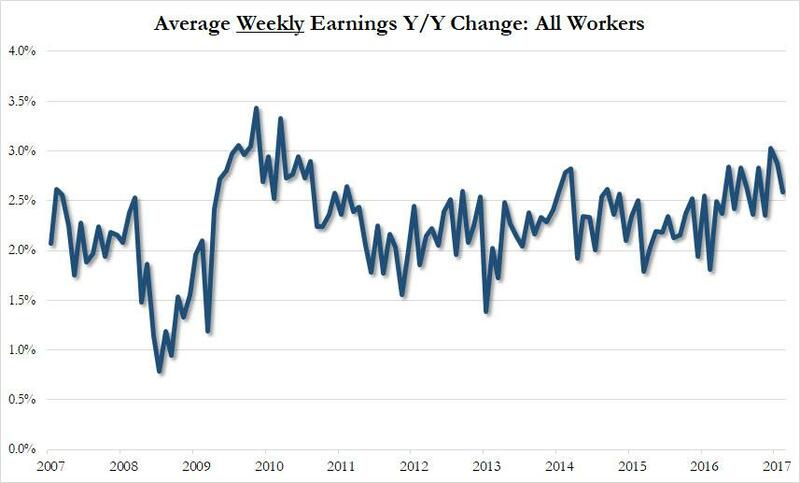 However, it important to note that the only reason hourly earnings rose as much as they did is because the average weekly hours worked dropped sharply from 34.5 to 34.3. Meanwhile the average weekly earnings actually declined from 2.9% to 2.6%, with the number dropping from $919.43 in December to $917.18. 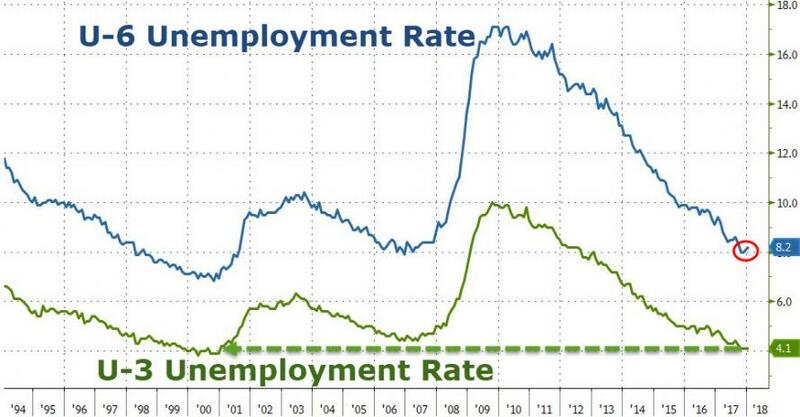 Elsewhere, the unemployment rate kept constant at 4.1%, as expected. Going back to payrolls, the change in total nonfarm payroll employment for November was revised down from +252,000 to +216,000, and the change for December was revised up from +148,000 to +160,000. With these revisions, employment gains in November and December combined were 24,000 less than previously reported. After revisions, job gains have averaged 192,000 over the last 3 months. In kneejerk response, Bill Gross just said that the jobs report "should send the 10Y yield to 3%", and the report ensures the "Fed will continues to hike."